Although there are a lot of factors responsible for infertility in men and women, but according to the IVF clinic in Delhi, the one factor that has a huge impact on our fertility is the lifestyle we all are exposed to. Most of the people, these days, lead a stressful and sedentary lifestyle, which often ends up affecting their fertility. In most of the developed and developing countries, the work life of most of the people, may it be men or women, is such that they are sitting, reading and spending too much time over the computer, and involved in very little or no physical exercise. 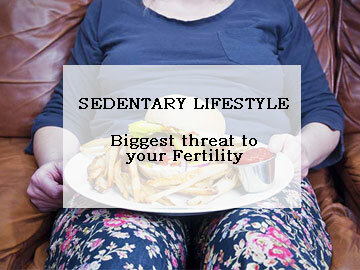 This kind of lifestyle, often referred to as sedentary lifestyle, has a significant bearing on one’s fertility.Sedentary lifestyle or physical inactivity is more likely to turn a woman infertile than a man. It often causes hormonal imbalance and polycystic ovarian disease in women, which are termed to be a major cause of infertility in women. Though women are more susceptible to infertility by leading a sedentary lifestyle, men are not free from the affects of such a lifestyle as well. Men who abstain from involving in any physical activity or exercise often tend to be obese and overweight, thereby producing sperms of poor quality. Obesity does not only affect the quality of the sperm adversely but also alters the structure of its cells thereby reducing the chances of conceiving. Apart from this, a sedentary lifestyle also causes scrotal heating in men, thereby causing infertility. Tight trousers and placing the laptop on the thighs for long hours can be a major cause responsible for scrotal heating. Considering the impact of a sedentary lifestyle on both men and women, it is important for everyone to be aware of effects of such a lifestyle on their fertility. If you are worried about being unable to change your lifestyle yet maintaining your fertility, there are a number of ways to overcome the problem of infertility despite leading a sedentary lifestyle, the first being segregating one’s professional life from personal life. Walking during the break hours and wearing loose and comfortable trousers at work can also help you maintain your fertility. Apart from the above, one may even resort to regular physical exercise, yoga, brisk walking, jogging and such other physical activities to prevent infertility. Physical activities like these help the blood flow to your reproductive organs, thereby increasing your sexual drive and fertility. Despite the fact that a sedentary lifestyle causes infertility, the above mentioned techniques and exercises will help you prevent and overcome the problem of infertility and increase your chances of conceiving. For more severe cases, you can always seek the help of an IVF specialist for your infertility treatment in Delhi. 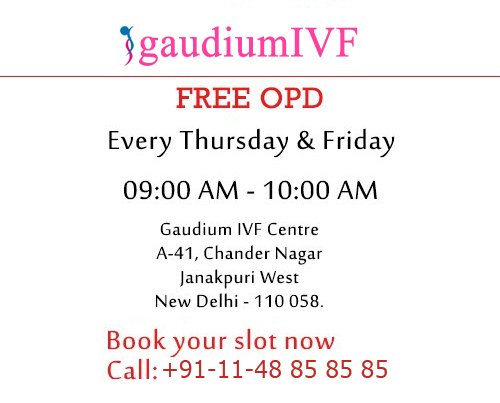 Gaudium IVF is a trusted IVF clinic in Delhi offering personalised treatments for all sorts of infertility issues. For a free expert advise from the leading fertility specialist Dr. Manika Khanna, contact today.